Peter Paul Rubens, a painter and draftsman from Antwerp, was the most important and celebrated 17-century artist from Northern Europe. His influence was particularly strong. From 1620 onwards the so-called ‘high baroque’ (maniera grande) was introduced in his work. 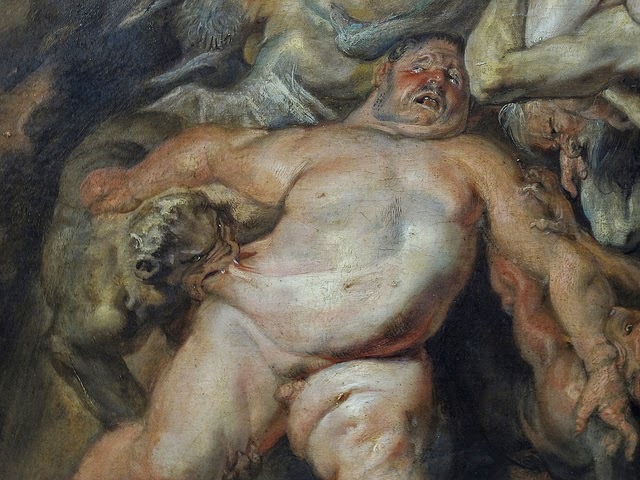 “The Fall of the Damned” is such a highly dramatic and monumental religious painting. 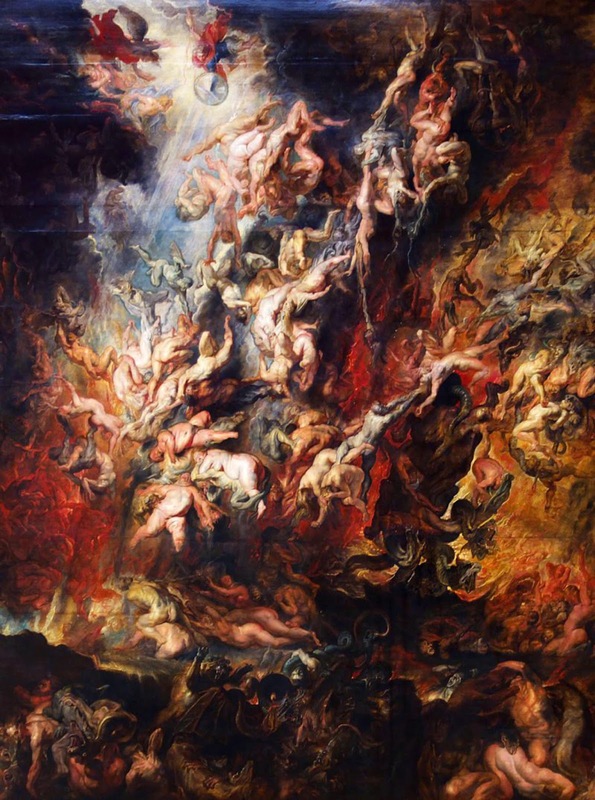 It features a jumble of the bodies of the damned, hurled into abyss by archangel Michael and accompanying angels. The sketch of The Fall of the Damned was made in black and red chalks, with a grey wash and is kept in the British Museum. 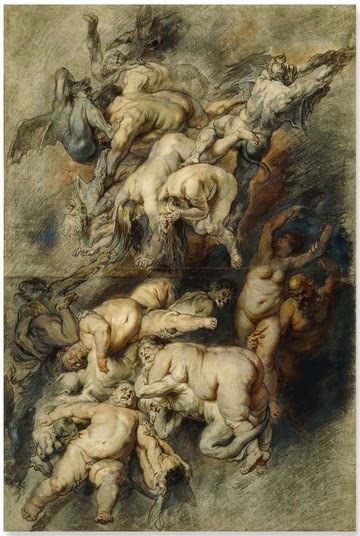 It is assumed to be the work of a studio assistant, while Rubens then went over the drawing with brush and oil colour.